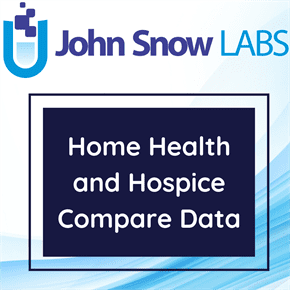 This dataset includes a list of hospice agencies with data on the quality of patient care measures shown on Hospice Compare. It includes information about hospice agencies such as address, phone number, ownership data and different Centers for Medicare & Medicaid Services (CMS) Regions they belong to. This dataset also contains data regarding the corresponding scores against each of the measures for quality of patient care. Hospice Provider Data works with many of the Medicare and Medi-Cal Certified Hospice Agencies in the San Francisco area, and is surveyed by agencies of the state and federal governments, and by the Joint Commission on Accreditation of Healthcare Organizations. The Centers for Medicare & Medicaid Services (CMS), the federal agency that runs the Medicare program, created Hospice Compare in collaboration with organizations representing people with Medicare, hospice organizations, other stakeholders, and other federal agencies. Hospice offers specialized care and support to individuals, their families, and caregivers during an advanced illness. The focus of hospice is on comfort and quality of life, rather than cure. Hospice can be provided wherever the individual lives. Hospice agencies most often provide services where people live, whether it’s at home, an assisted living facility, or a nursing home. Sometimes the hospice team will determine that an individual needs short-term inpatient or respite care services. Hospice compare enables different individuals to find hospices that serve in their area and compare them based on the quality of care they provide. The quality of care that hospices provide to patients and families can vary. Hospice Compare reports information on hospices across the nation and allows patients, family members, and health care providers to get a snapshot of the quality of care each hospice provides. People can compare hospices based on important indicators of quality, like the percentage of patients checked for pain or who are asked about their preferences for life-sustaining treatment. The information on Hospice Compare should be used with other information one gathers about hospices in their area. In addition to reviewing the information on Hospice Compare, individuals are also encouraged to talk to their doctor, social worker, or other health care providers when choosing a hospice. This dataset includes information about hospice agencies such as address, phone number, ownership data and different CMS Regions they belong to. This dataset also contains data regarding the corresponding scores against each of the measures for quality of patient care.